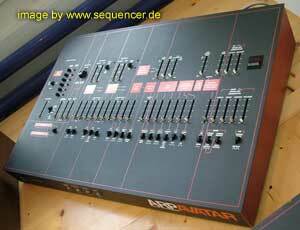 GRPs Synthesizers are really huge. I had the chance to listen to all of them, exept the new upcoming A4, which is in fact the one, that is made for most of us. why? it has no „doubled“ synth engine (like the A8 Analog Synthesizer ) which makes it much more afforable plus it has everything needed, the smaller „minimoog style“ A3 Analog Synthesizer was a bit too limited (for me). 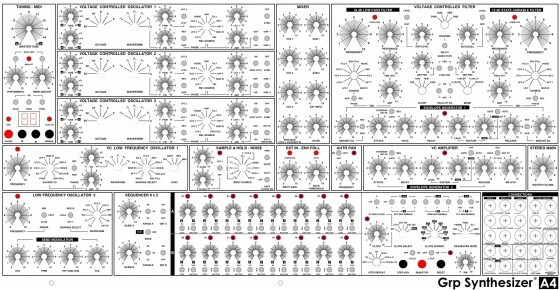 I did not really get the idea behind the A6 Analog Synthesizer , which has been reduced but has a lot more compared to the A3, so – check the A4..
nopte: it looks modular, but it isn’t – it’s a great sounding monophonic synth. 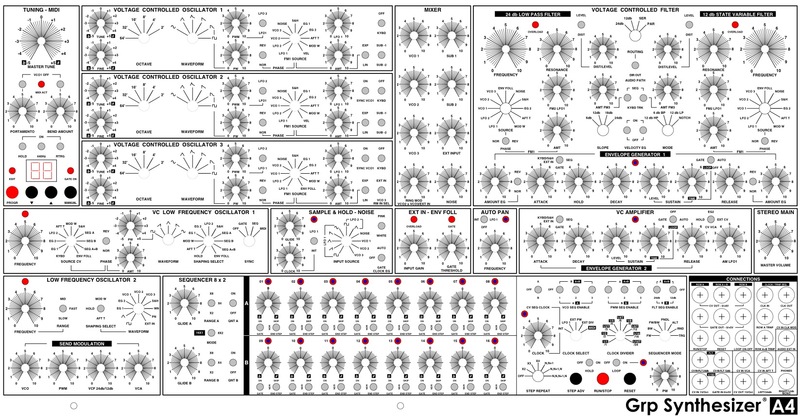 3 VCOs plus 3 SubOSCs – all with FM and Sync (so it’s 2 syncs in there) and 2 filters – 12 dB (multimode varistate) & 24dB/oct., sequencer and 2 envelopes, 2 LFOs. maybe you remember the A8 videos?